Good morning! 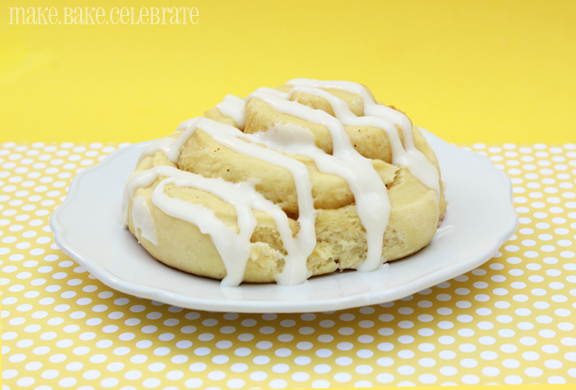 If your week has been anything like mine, your in need of a pick me up and a little sunshine :) Today I have just the thing for you, Lemon Rolls or we could just call them sunshine rolls! 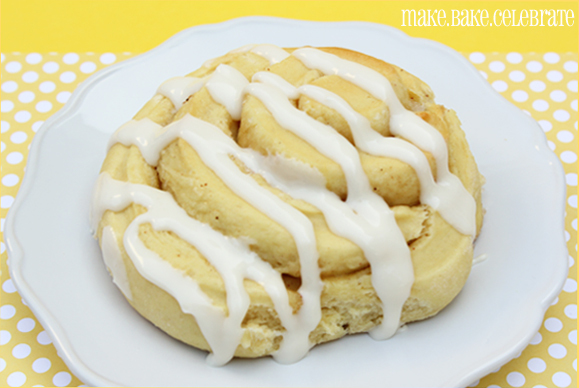 A few weeks ago Christy at Made From The Oven posted some easy cinnamon rolls made from a cake mix. She even tried some in chocolate and added sprinkles for a birthday cinnamon roll. I knew I had to try out her recipe, and I'm so glad I did! When I went to pull out a cake mix from my baking cabinet and came across the lemon cake mix I've been avoiding. 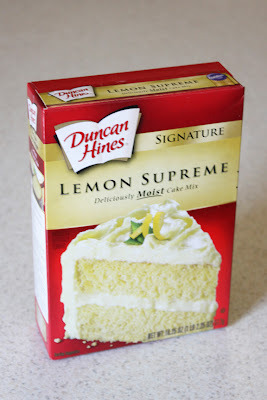 I never really like lemon desserts but I bought the cake mix telling myself I needed to try to make a summery treat with it. 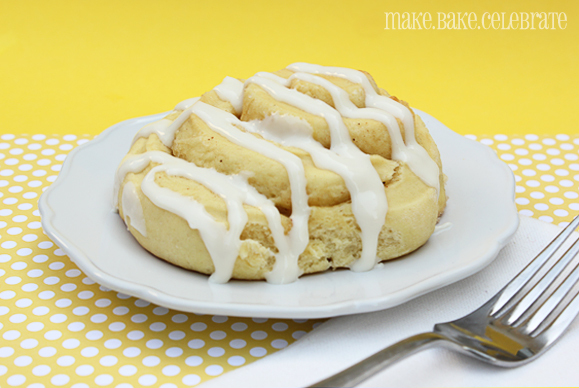 I've never had a lemon roll before...so why not give it a try. The result was shocking. Seriously. Amazing. I was really shocked how much everybody loved these, even though most everybody had claimed to not care for lemon. I started with Christy's orignial recipe then swaped out the cake flavor, extract, and the filling. I topped it with a Duncan Hines vanilla glaze, another item that's been patiently waiting to be tested in the cabinet. 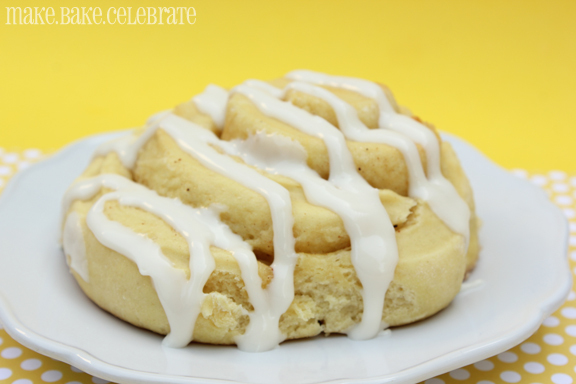 It was light, not too sweet, not too tart, and such a great twist on a breakfast classic! 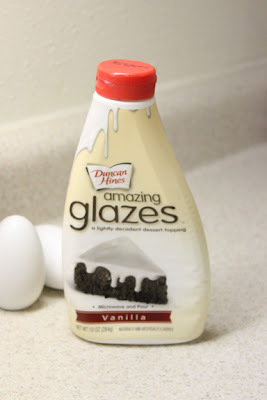 The vanilla glaze was super easy and worked perfectly, a cream cheese icing would also be perfect. Step 1: Pour yeast packets into warm water and stir until dissolved. Step 2: In a large mixing bowl combined cake mix, salt, and flour. I used my kitchen aid with the dough hook and it worked perfectly. Step 3: Add warm water to cake mix, you may need to kneed the dough a bit. Step 4: Cover with seran wrap tightly and let rise for an hour. After an hour punch down, and let rise again for 30 minutes to an hour. Step 5: Split dough into two parts. 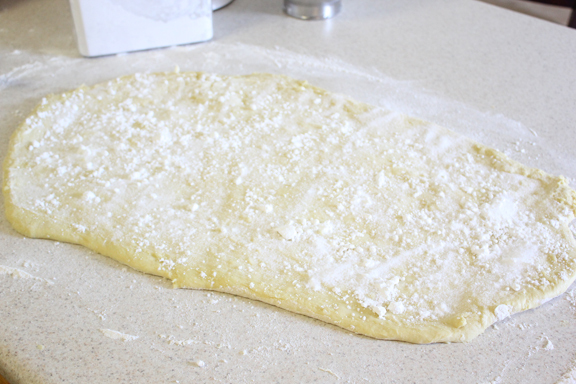 Starting with one at a time roll dough into a rectangle shape on a flour covered counter about until 1/4 inch thick. 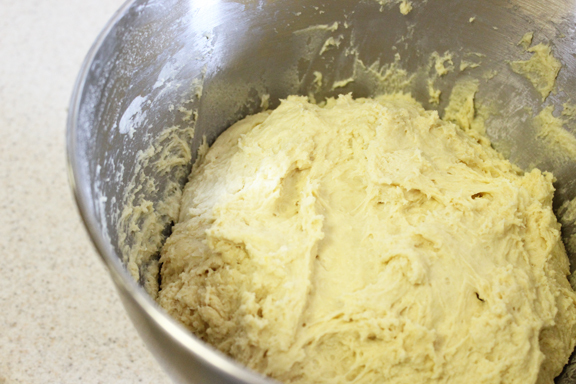 Step 6: Spread half of softened butter on each rolled out dough. Then add sugar and powdered sugar, and if you'd like sprinkle on a little nutmeg. Step 6 : Starting with the side farthest from you roll the down towards you. Step 7: Cut into 24 equal pieces. Step 8: Place rolls in two greased 9 X 13 glass pans. Step 9: Cover and let rise on oven while preheating to 350 degrees. Step 10: Bake for 15-22 minutes. Step 11: Let cool slightly. You may either pour icing on as they are warm or if you would like you can wait and melt icing later and drizzle over top. 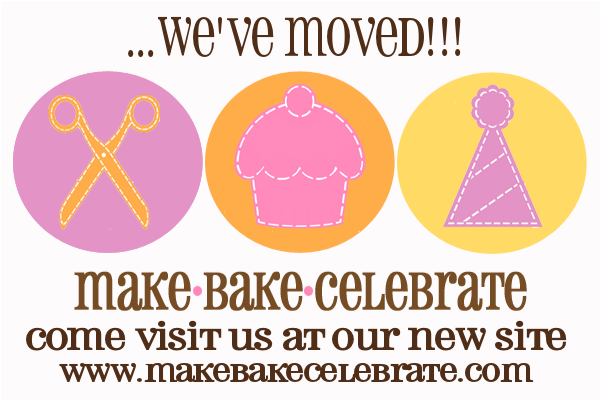 For more details and great photos check out her post here.